Crispy on the outside, juicy on the inside, and slathered in a zesty sauce, that's how I like my wings. I used to think that I needed to fry them in hot oil to achieve this perfection, but after I tried Alton Brown's method, I knew there was a healthier way to get the same results... or even better. 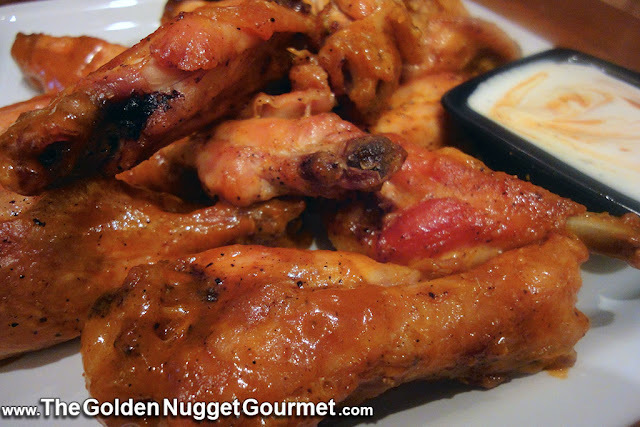 Spicy garlic and mango habanero are two of our "go to" BW3 sauces. 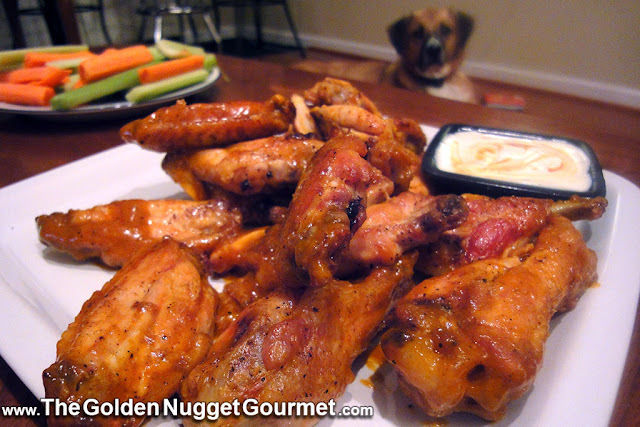 You can buy the sauces and dry rubs at the restaurant, or online, and with Alton's method you can make restaurant quality wings at home. Sorry pup, I think these may be too spicy for your sensitive tummy.